So, you want to become a productive writer? Someone that writes extraordinarily great. That’s not easy as you think and that’s not as hard as it seems to be. Writing is actually a productivity booster and it grows your productivity continuously. Consider writing as a cage where you’ve to stay updated to stay alive. If your knowledge is not up-to-date about the latest stuff (your niche), you may become a writer but you can’t be the productive one. We’ll be discussing the best tips to become a productive writer. Writing is a learned skill just as walking. You learn walking by just trying to walk. You learn talking by trying to talk. In the same way, you learn writing only by trying to write. You need to be consistent in writing! The more consistent you’re, the more it would be easier to write more. Of course, in less time. Again, Consistency matters a lot in writing. When you have got a routine of writing daily, it will be easier for you to write. If you stop writing for a while (days, weeks, months) and you make a come back, you’ll face issues. Maybe, you would not be able to complete the writings in the time as you used to! Only the thing to maintain is consistency – the best rule to follow! The whole game depends on how you think. How you make up your MIND to get things done. Getting your mind right only means to clear your confusions first. It’s all about the way you think. If you think you’re not creative, you can never be! SIMPLE, Make up your mind towards writing and you’ll be the best. Time matters in every business and it does matter in writing! I was very slow at writing and it was hard for me to write a good blog post. As the time passed, I got my writing skills polished. But, the main issue was still there. I was unable to complete my writings within a day. It used to take 2-3 days to get a blog post written. Later, I decided to schedule my time for writings. I used to get up earlier in the morning and started writing. And the remaining writing task was done in the late night, I used to sleep for 5-6 hours. That was my schedule, you need to consider your important tasks and find a suitable time for them. After that, find a great time for your writings to be done. Schedule your time for writings! We’re trying to become a productive writer. 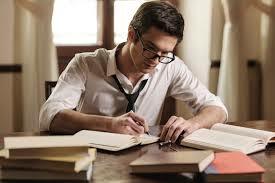 For all of us, a productive writer is the one that completes his/her writing tasks with excellency in a short time. And in order to make it possible, all you need is to get serious into it. Setting deadlines would help you accomplish your tasks in a short interval. Later, I made up a schedule to get up and watch that deadlines everyday. Obviously, I was able to crush all the tasks easily! If you’re unable to complete your writing tasks, try setting deadlines and observe the change! 0 Response to "4 Excellent Tips to Become a Productive writer"